No high fructose corn syrup. 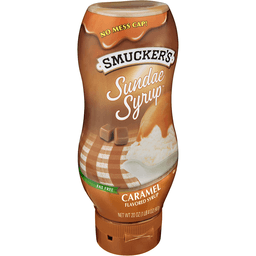 Per 1 Tbsp: 50 calories; 0 g sat fat (0% DV); 30 mg sodium (1% DV); 12 g sugars. Good food, good life. 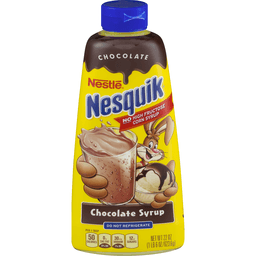 Good Question: How come I shouldn't refrigerate my Nesquik Syrup after opening it? 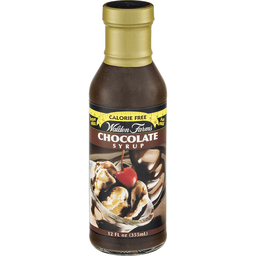 Good to Know: Because Nesquik Syrup doesn't have high fructose corn syrup (yay! ), refrigerating it will cause crystallization. Good to Connect: Wanna know more? Go to Nesquik.com. Call 1-800-637-8536 M-F 8 AM to 8 PM ET. Nutritional compass. 99% caffeine free. A naturally fat free food. Please recycle. Product of Canada. Chocolate. San Francisco. Founded in 1852. 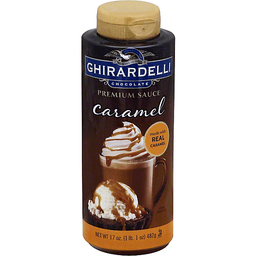 Ghirardelli Premium Sauce uses real caramel to deliver a smooth taste, the perfect finish for your drink or dessert. 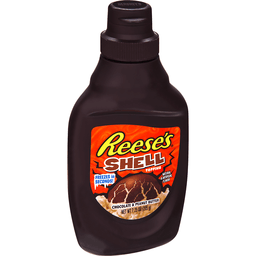 Perfect for: milk shakes; dessert topping; coffee drinks; ice cream topping. Non-drip cap. Partially produced with genetic engineering. 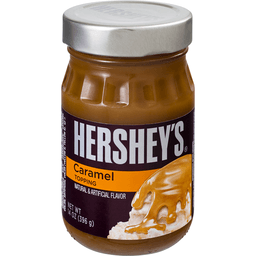 Visit our website at www.hersheys.com. 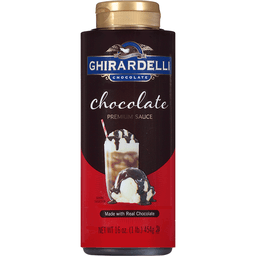 Ghirardelli® Chocolate Premium Sauce Chocolate. Founded In 1852. 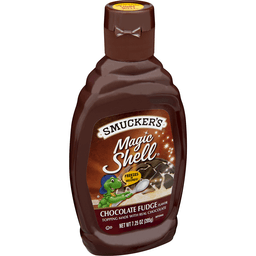 Made With Real Chocolate. Net Wt 16 oz. (1 lb.) 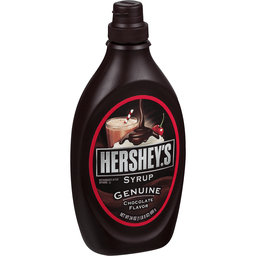 454 g. Ghirardelli Premium Sauce uses real chocolate to deliver a smooth taste, the perfect finish for your drink or dessert. Perfect For: • Milk shakes. 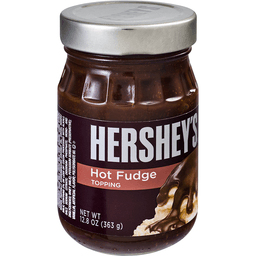 • Dessert topping. • Coffee drinks. 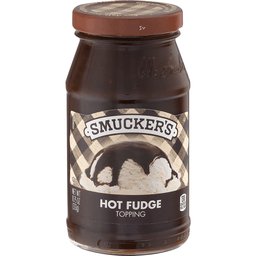 • Ice cream topping. Non-drip cap. ©2015. 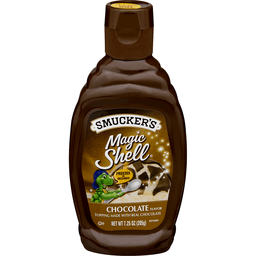 120 calories per 2 tbsp. Microwave 30 seconds. See heating instructions on back. 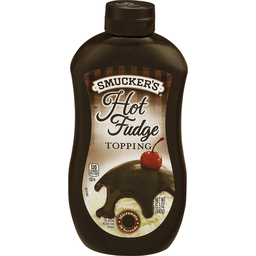 Treat yourself to the rich flavor of Smucker's Hot Fudge Topping. 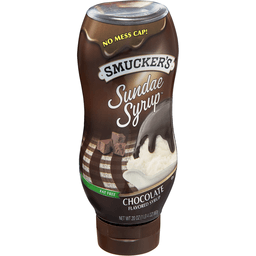 The microwavable bottle makes it quick & easy to enjoy on any dessert! Questions? Comments? Call toll-free 1-888-550-9555 M-F 9 am-7 pm (EST). 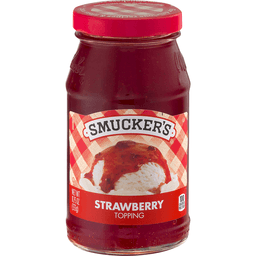 www.smuckers.com. 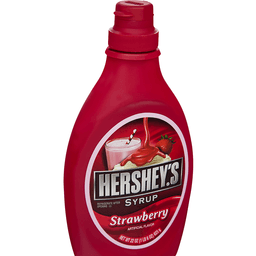 Hershey's Delicious Strawberry Flavor Syrup. Since 1894. 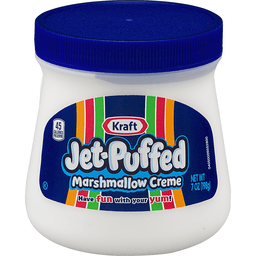 50 calories per 1 tbsp. Artificial flavor. Fat free. Gluten free, as always. 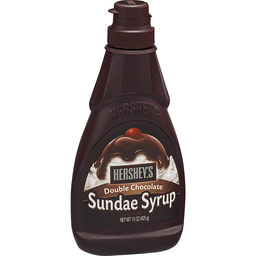 For delicious recipes, visit us at www.hersheyskitchens.com. Questions or comments www.askhershey.com or 800-468-1714. 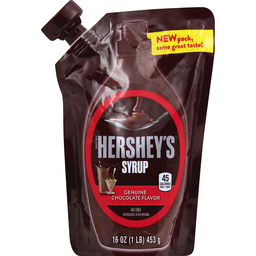 Visit us at: www.hersheys.com. SmartLabel™.